I am wearing the costume. I came up with the idea when I was thinking of dressing up in a DIY costume and thought of the one thing everybody used/knew about: Facebook. 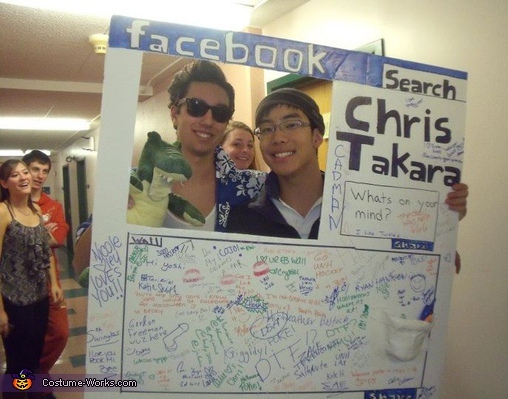 Cut out a square, this serves to be your "profile picuture"
make sure to make a marker/sharpie holder so that people may sign your "wall"
Even though I can't stand FB, this is a cool idea! Very easy to do, easy to recognize and a great ice-breaker, too!